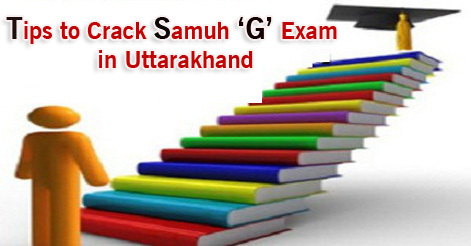 Samuh G Exam is the only examination in Uttarakhand which is providing highest number of job opportunities in Government Departments in Uttarakhand. Large number of candidates are looking Samuh G/ Group C posts as job with respect, money and self satisfaction. Samuh G includes many post like Village development officer, Supervisor, Lab Assistant, Stenographer, Data entry operator and many more, for these post number of students work really hard and get success. But unfortunatly not all of them. What is the Reason behind it? What is the Reason that you are not able to crack Samuh G exam? If you study regularly, spend same time with our books then why you do not get success in the same exam ? Because there is definitely a lack of planning and lack of material. So first thing that should be done is to planned for related exam. Always prepare for any exam atleast before 4-5 months. So that you can revised the notes at the same time. Everyone knows how to study and how to learn, despite of that only few knows how much need to learn and what to learn. This is a very common problem that many students are facing during examination. So first thing that should be done is to have a clear vision about the exam, and be focused. Just dig each and every information about the examination. And then follow these points that will surely lead you towards success. First of all inspect yourself that how much you can study in a day, and how much syllabus you are covering on that day. Now make a time table according to you, divide time slots and subjects that should be covered in a single day. Always remember that you must revised your subjects in same week twice. Never make a hectic schedule so that you can not able to follow it. Make it easy and follow it regularly. Make sure that you have the syllabus and you know about each and every subjects. Then collects all notes, book (Always prefer lucent, arihant publication as top most choice), magazines for current affairs and most important Uttarakhand General Knowledge. Because 40% syllabus of Samuh G will cover by state information only. For aptitude and maths and reasoning try to built a strong base first and prefer 10th and 12th books for a higher level you can prefer R.S. Aggrawal. For Uttarakhand G.S. Parikshavani is best book and for more data you can read Uttarakhand Year Book too. This is the only thing that everyone knows, but do you know that one wrong tick will cut your marks. OMR sheet plays an important role in examination because you gives your answer through this. So make sure that you are filling inside the circle and Question number and circle is same. Many times in the examination hall just because of mental pressure you always do these type of things. The other thing that should be keep in mind is circle you are filling should be dark so that system can read it. Always fill circles with the same time when you reads the question, do not leave it for later. This is the main problem that one can not get success in any examination. Many students makes guesses in examination and lose their marks. Always avoid to make any guess, if you don’t know the answer just leave it. Do not waste your time on that type of questions. Attempt only those questions, which you are sure about. That will also help to save your time. Samuh G exam is not that much tough so never take any tension regarding question just avoid doubtful questions. Exam is easy so the merit will always high. Whenever you starts study, make sure that you are making complete notes a particular subjects. That will helps you in revision next time. Try to note all important dates, day, name of events, famous books, and all important data, because mostly question will based on data only. When you will revise that notes, try to highlight important points. This will help you in a quick revision. Make different notebook for all subjects. Never read extra topic because some time it happens that we grab everything except valuable data. Most important of making notes is that it will help you in future too. Buy the unsolved paper, or download them from available website. Just solve all previous papers, it will helps you to improve your speed to attempt all question. When you starts solve papers make sure that you are following the time boundaries on the same way. Follow the Samuh G examination pattern, evaluate yourself and cut marks too on each wrong answer. Sometimes questions will also repeat in the examination. It will also help to remove your fear about examination. So students, without any fear just start preparation for Samuh G. If you are following all the points, you will definetly clear this examination. So be focused and learn your notes regularly. These points will help you to create a layout for preparation and pumps you up for a smart study. 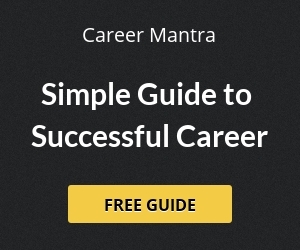 Help us to improve this article/job posting "Best Tips to Crack Samuh G Exam". We would be glad if you can comment below and provide your valuable suggestions and feedback. If this page have any wrong information/list or out of context content, then you can report us as well. Please share a timetable for working peoples in private sector..
can u gave me previous question papet. can u gave me previous question paper.? ?